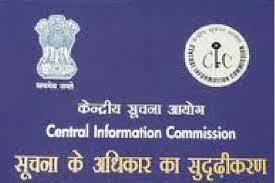 Central Information Commission announced recruitment for Various Posts. The applications are invited for following posts. The other details are shown below. I) Degree in Law from a recognised university. II) 15 years work experience in a Group ‘A’ post in a court or Tribunal or Quasi Judicial Authority or Experience in personnel and administrative matters or experience relating to filing applications, scrutiny and interpretation of rules, regulations, instructions issued by the Government from time to time. 1. Section officer i)Graduation from a recognised university. 4. Assistant i)Graduation from a recognised university. The candidates should complete the applications in prescribed format along with relevant documents must reach “The Shri Sushil Kumar, Deputy Secretary(Admn), Central Information commission, Room No.301, 2nd Floor, August Kranti Bhawan, Bhikaji Cama place, New Delhi-110066”. The last date of receipt of application in the commission is 45 days from the date of publication of the advertisement in employment news. The advertisement was published on 22nd January 2015.